Down East is offering our readers an unforgettable week of photography and exploration in Acadia National Park with our editors and some of our favorite contributing photographers. Limited to 20 participants — these trips fill up fast. Open to all levels of photographic experience.  Click here for a full slate of our Down East Adventures! Welcome to Bar Harbor! Check into your room on the campus of the College of Atlantic and get ready for a week of informative, fun, and one-of-a-kind experiences in Acadia National Park. We’ll kick off the week with a welcome dinner with Down East editor in chief Kathleen Fleury at one of Bar Harbor’s popular restaurants featuring locally grown and harvested food that will be paired with wine from one of Maine’s wineries. We’ll rise and shine bright and early (sunrise is at 5:21 a.m.) to photograph sunrise from the top of Cadillac Mountain with Mark Fleming, Down East visuals editor and photographer of Ultimate Acadia: 50 Reasons to Visit Maine’s National Park, and Down East contributing photographer Douglas Merriam. At 1,532 feet, Cadillac Mountain is the highest point along the North Atlantic seaboard and the first place to see the sunrise in the United States. After sunrise and a hearty breakfast, we’ll head off on a two-hour guided tour of Acadia National Park where you’ll learn the history of the park and see some of its most beautiful places. After lunch, we’ll get the group set up for a Down East Magazine Instagram takeover. In the afternoon, we’ll break into two groups to explore the park with Mark or Doug to learn some valuable landscape photography tips. For your evening meal, dine at the College of the Atlantic’s dining room, featuring local and organic ingredients, or explore nearby Bar Harbor’s many dining choices on your own. Start the day with a quick hike to the top of South Bubble and Balance Rock with Ginny Wright, Down East senior editor and author of Ultimate Acadia: 50 Reasons to Visit Maine’s National Park. Throughout the day we’ll offer helicopter rides around the island with Down East contributing photographer Benjamin Magro. 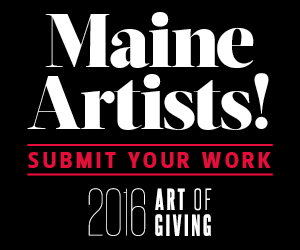 Learn how to take amazing aerial photographs from one of Maine’s preeminent aerial photographers. We’ll end the day with a sunset sail among the islands of Frenchman Bay aboard the historic schooner Margaret Todd. Mark and Doug will be on hand to help you get the best sunset images possible. We’ll take a two-hour tour with an Acadia naturalist, taking in-depth look at the fascinating inhabitants of Acadia’s tide pools. Again, Mark and Doug will come along to help build your photography skills. Later in the day, Maine Farmland Trust will host a special dinner at Beech Hill Farm along with environmental documentary photographer Bridget Besaw. Bridget will present a film she recently produced and directed for Maine Farmland Trust that explores the growing pains of the local food movement. After the film, Bridget will field your questions and discuss farm photography, working with nonprofits, and mission-driven creative work. We’ll spend the morning touring and photographing the cobblestone bridges of Acadia by horse-drawn carriage with Mark and Doug. The narrated two-hour tour will explore the history of some of the most remarkable bridge work in America. We’ll stop at the historic Jordan Pond House for their famous popovers before returning to Wildwood Stables. In the afternoon, Ginny Wright, senior editor and author of Ultimate Acadia: 50 Reasons to Visit Maine’s National Park, will guide another hike in the park. This time, you’ll climb to the top of Gorham Mountain. After the sun sets, we’ll head out into the park with photographer Adam Woodworth who specializes in astrophotography. Acadia is known for having some of the darkest skies along the East Coast. Adam will show you his tips, tricks and go over the best equipment for successful nighttime shooting. On our last full day, we’ll encourage you to spend the day exploring Acadia on your own. You can pedal on the park’s 100-plus miles of bike trails with the complimentary bike and helmet that will be provided to you for the entire week, or hop a free ride on the Island Explorer that features eight bus routes throughout the park. For dinner, we’ll host an authentic Maine lobster bake at one of Mount Desert’s most beautiful and rarely seen locales. 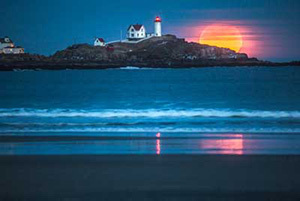 Star Point, featured on the cover of our recent Best of Maine issue is truly a sight to behold — and photographed. A local brewer will be on hand to pour some of their Maine brews. We’ll cap off the night with a slide show highlighting some of the week’s photography. To reserve a space on our Acadia National Park Photography Reader Trip from August 2 – August 8, call 1-800-766-1670 ext. 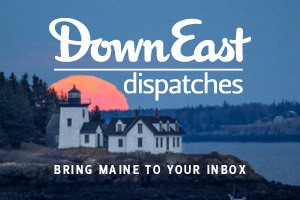 431 or e-mail adventures@downeast.com. The price for the trip is $2,950 per person based on double occupancy or $3,200 per person single occupancy*. * Price includes costs of all of the above scheduled activities, room and board, 3 meals daily at the College of Atlantic, a weeklong bicycle and helmet rental, and transportation around Bar Harbor and the park.